If you don't know your Bolt Pattern & Offset, enter your Make/Model/Year and we'll ship you what you need. 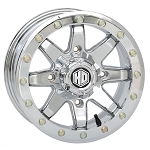 Aftermarket rims generally widen the stance of your machine. If this is an issue for you contact us for help. Wheels look great on my RZR. Came as ordered in perfect condition and tires already mounted. Arrived very quickly, received two one day and two the day after from a different shipping point I suppose. Received in excellent condition, well packaged, and ready to go onto my machine. They look great in my opinion. Amazingly fast shipping! Wasn't expecting then to arrive for a couple days and they showed up the day after I ordered them!!! 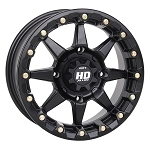 Wheel fit great on my Pioneer 1000 and look great with the truck tires I mounted the wheels on. Great looking wheels. No issues and the price is great! They look great and the shipping was super fast...Price was also the best I could find. 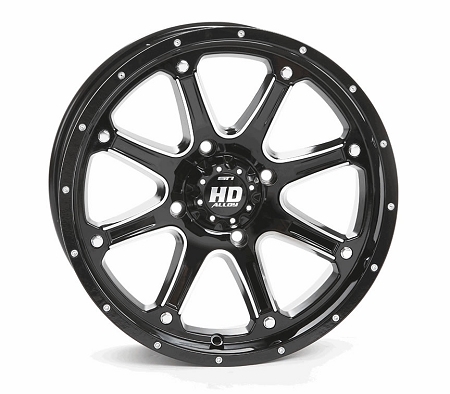 A: No, they don't do DOT ratings on the aftermarket wheels we carry. Just the tires.